Some of you may have already read this since Ben Stein gave this commentary on CBS in 2005, but it is worth repeating since Christmas is approaching — and because it is good stuff. I wanted to make sure it was accurate so I checked it out on Snopes and found it was accurate, though some people have added much to it. However, the version below is exactly what he said and you can check me out here if you wish. You can also read the words directly from Ben Stein's website too. I am a Jew, and every single one of my ancestors was Jewish. And it does not bother me even a little bit when people call those beautiful lit up, bejeweled trees Christmas trees. I don't feel threatened. I don't feel discriminated against. That's what they are: Christmas trees. It doesn't bother me a bit when people say, "Merry Christmas" to me. I don't think they are slighting me or getting ready to put me in a ghetto. In fact, I kind of like it. It shows that we are all brothers and sisters celebrating this happy time of year. It doesn't bother me at all that there is a manger scene on display at a key intersection near my beach house in Malibu. If people want a creche, it's just as fine with me as is the Menorah a few hundred yards away. Or maybe I can put it another way: where did the idea come from that we should worship Nick and Jessica [I think these are movie stars he had commented on earlier] and we aren't allowed to worship God as we understand Him? I’m alright with you being a Catholic as it is fine with me he being a Jew. Another reason I admire Mr. Stein is his outspoken devotion for the late President Richard Nixon. The thing that really pisses me off is they named recently an Aircraft Carrier after Gerald Ford who was really was never even elected to the presidency and accomplished nothing who was a do nothing president and Nixon other than Watergate I consider one of the 20th Century’s greatest President. He accomplished so much in his five years. He finally opened the door to China, brought our men home from Viet Nam, ended the draft, gave eighteen year olds the right to vote. Was the President who gave us wheater you like it or not The Environmental Protection Agency. Sadly the EPA has become a Liberal bastion. I doubt if Mr. Nixon would have appreciated what the Progressive left did to his brain child. He did so much for our country that few presidents ever accomplished. 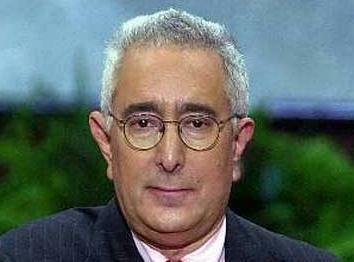 Yes this is one of the reasons I admire Ben Stein so much. I hope Ben you read this and America will remember what a great man Richard M. Nixon was. Previous post: 39 Years Ago Today – Best Decision I Ever Made! Next post: Is the Pope Justifying Condoms?